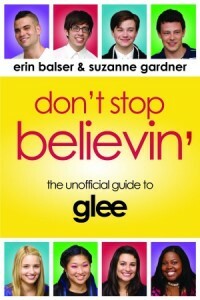 T-minus 3 days, Gleeksters! And I have a very fun treat for you today! The full versions of the four songs from “Sectionals” are now available for your listening pleasure, and I’ve embedded them below (to clarify: there are no actual videos, all of them are just audio over a still image). All of the songs totally rock, but I absolutely love Rachel’s take on Barbra – it’s just so perfect for her and she sounds so fabulous singing it. Enjoy and be sure to let me know which one you’re most excited about in the comments! ← Sneak previews of “Sectionals”: The baby drama’s heating up! I adore Rachel’s Don’t Rain on My Parade!!! I can’t wait for tomorrow’s Glee!